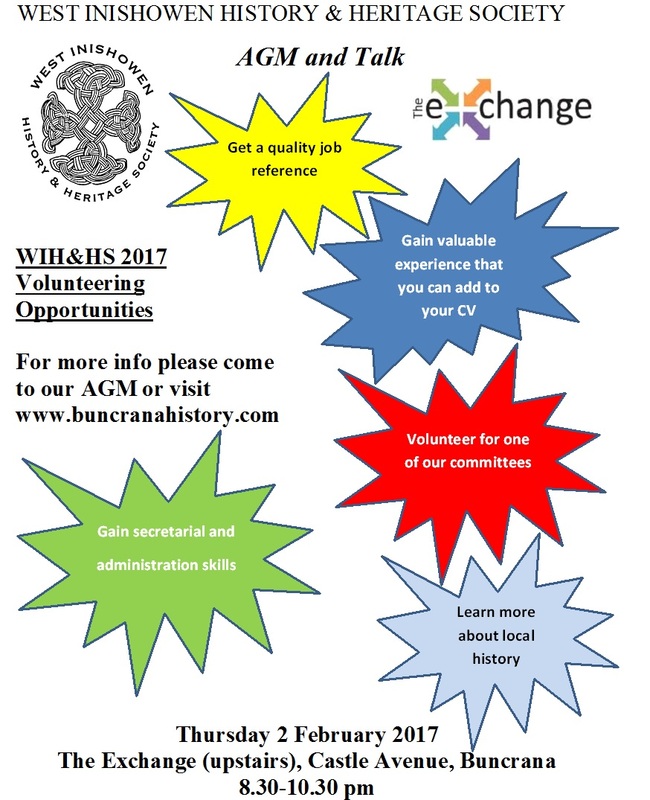 Everyone is invited to our 2017 Annual General Meeting (AGM) upstairs in the Exchange (Castle Avenue, Buncrana). Chair Dr Michael L Gorry will deliver a run down of all our 2016 activities along with a treasurer’s report. Important events in 2017 will also be advertised. 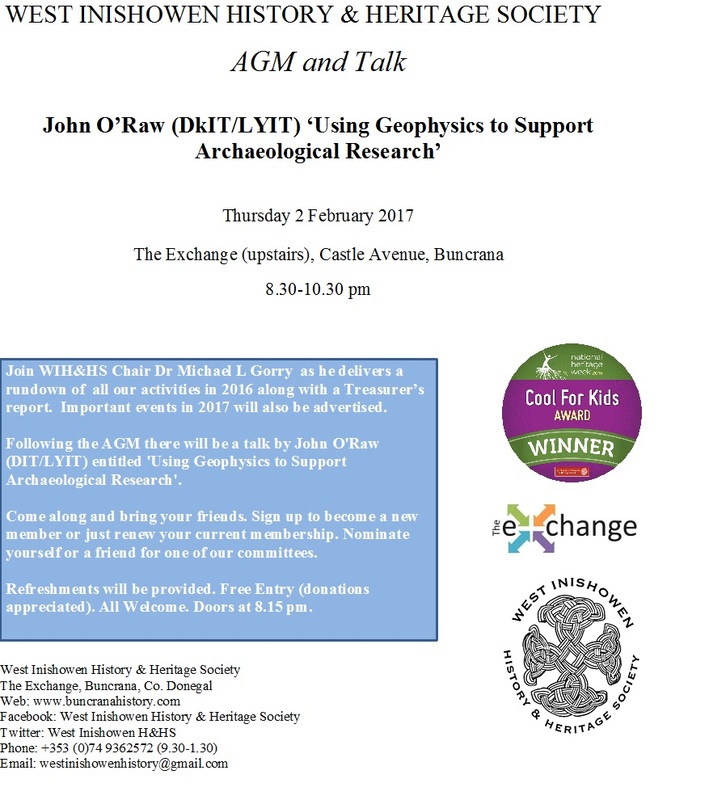 Following the AGM there will be a talk by John O’Raw (DIT/LYIT) entitled ‘Using Geophysics to Support Archaeological Research’.